Whether you are new to buying property in the Algarve or have done so several times before, the process can sometimes be a little confusing, so it's vital to be well-informed and properly prepared. It is natural to have many questions throughout the buying and selling process, especially when legislation, bureaucracy, language and cultural differences in another country can cause some confusion and uncertainty. So be sure to have the right partners on your side including an experienced lawyer and a well-established, licenced real estate agent to ensure that the whole process runs smoothly from start-to-completion. If I know I will need finance should I talk with a bank before looking at properties? The simple answer is YES! It's essential to be sure how much a bank will lend you (at least provisionally), so you know your budget and the right kind of properties available to you. There are several banks in Portugal which commonly offer mortgages to foreign buyers - just ask us for contacts. You should also keep informed of exchange rate movements, as rate fluctuations can affect a purchase and any mortgage borrowing/lending costs. There are a number of foreign exchange (FX) specialists in the Algarve who offer up-to-date information and expert advice for such purposes - just ask us for contacts. Do I need a lawyer when buying a property? IAgain, yes ! An independent lawyer will act on your behalf and in your interest only. Sometimes Portuguese legal bureaucracy is made over-complex, so it's important to find a lawyer who (a) speaks your language fluently, and (b) is able to make the process as straight-forward as possible for you. A lawyer's fee should be regarded as a necessary part of your property purchase costs, and is not an expense that you should try to reduce. We can recommend a number of reputable independent lawyers - just ask us for contacts. I already own a house, should I buy another before selling? There's no right answer to this question. There are pros & cons to buying a home before selling your current one and the same applies to selling your current home before buying another. It really depends on your own personal and financial circumstances. Of course you're always in a better position if not depending financially on other events. So if you see an opportunity to buy your dream Algarve home for the right price, and you're in a position to do so, don't hesitate! Do I need a real estate agent when buying? When buying an Algarve home it's essential to use an official real estate agent to assist you in your search, as property legislation and the purchase process in Portugal can be complex and difficult. Indeed, an experienced real estate agent is your most valuable asset when buying a property, helping you view the best properties for your search specifications, guiding you through the purchase process, overcoming bureaucratic obstacles and assisting you throughout the deal - and beyond. Sold hundreds of properties of all different types and in the process gained a solid professional reputation and influence. 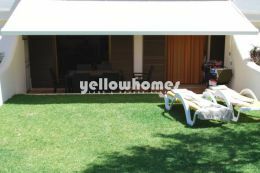 Yellow Homes - Land & Houses Algarve has over 20 years experience in the business of real estate - so trust the professionals! Who pays the agent fees when buying a home? Portuguese law states that the vendor is responsible to pay the agent's fees. There are normally no additional costs involved for the buyer with regards to this. 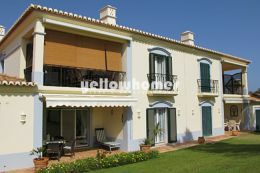 What are the additional fees when buying a property in Portugal? These vary depending on the value of the property purchase as well as whether the property is privately owned or owned in a company. If the property is privately held the total purchase costs should be between 7% and 10%. Property purchases using company ownership is considerably less. For a more detailed answer please go to Buying a Property. How many properties should I look at before buying one? There's no right answer to this. If your agent manages to find your dream home first-time, you can celebrate! However, buying a property is usually more of a learning curve experience, especially in a foreign country. So a good agent may show you a number of properties, each with their own characteristics and advantages within your brief, and in this way 'educate' you to make a better-informed and more confident decision for yourself. How much should I offer a vendor? You are the only one who decides how much to offer for a property. A good real estate agent will give you an objective view based on experience, current market knowledge and any specific factors related to that property, to determine whether (for example) a reduced offer may be worthwhile, or whether your offer could be subject to other conditions. However, the final decision is always yours. How long does the vendor have to respond to my offer? There's no set rule for this. A purchase offer can have a 'life' of just a few hours to several days, sometimes even 1-2 weeks. There are many circumstances that can affect the duration of an offer - your agent will know the particular circumstances of the vendor. In general it is usually not advisable to linger with an offer for too long, and to make this clear at the start. What happens when I make an offer? Offer rejected. If no counter-offer is made by the vendor, you may still submit a revised offer if you wish. No response. This is not common, unless the vendor considers the offer to be far too low and derisory. Do I have the option to have any inspections made on a property? Yes and your purchase offer can be contingent upon a satisfactory survey. Once you've identified the property that you want, and the price has been agreed, it's usually wise at that point to have an inspection survey performed, to evaluate the property's structural condition and ensure there are no unseen issues such as water penetration, etc. Your lawyer should also be instructed to do a legal search, for example to ensure there are no planned projects in the locality likely to have a negative impact on the property or its value. What is a property's energy-efficiency certificate? An energy certificate takes into account a property's construction materials, insulation & ventilation, heating & cooling systems, doors & windows (e.g. double glazing) and solar positioning/exposure. A qualified architect or engineer must visit the property to assess these aspects and calculate its thermal efficiency, to submit to ADENE (the government energy agency) who then issue a certificate which grades the property from A+ (top) to G (lowest). Buildings with a construction license issued prior to 2006 must have an energy certificate but are not required to meet any particular grade. Buildings with a construction license issued after 4 July 2006 must meet the standards of grade B or above. If a property is rated grade A or A+ this can translate into savings on your IMI or IRS taxes. If my offer is accepted, what's the next step? Between contract acceptance and the completion date, many things still need to be completed. This might include a survey (as above), a mortgage application, and a considerable amount of paperwork to be requested, produced, checked and approved. How much do I need for a deposit payment? The deposit is usually 10% of the agreed total purchase price. This may vary when concerning a property under construction; and/or if dependent on any other agreements between the buyer and vendor or their legal representatives. Do I need to do a final walk-through of the property? As the buyer, you have the option to make a final walk-through inspection. Several weeks can pass between acceptance of offer and final completion, and things can change during that time. So a final walk-through gives peace of mind. Of course a final walk-through is also an opportunity to consider any alterations, decoration or renovations you're planning for your new home! The closing date in a property purchase offer is a target, a desired date of completion, but it's not guaranteed. So before you hire the removal company and book your flights, it's important to appreciate that the closing date in the contract isn't necessarily the date you will own your new home. Nor is it a matter that your real estate agent can decide (although they may exert some urgency on your behalf) - it is the legal/bureaucratic departments of the local authority who ultimately decide the final closing date and time of signing. When do I receive the keys to the property? Normally the keys to the property are handed over at final completion, which is the appointed day when the deeds are signed at the local authority's notary office, contracts are signed and exchanged and the final payment is made. What are schools like in the Algarve? There are many public schools for all ages in the Algarve, which naturally teach in Portuguese. Due to the strong expat community there are also numerous reputable international schools most of which follow the English curriculum, but there are also German and Dutch schools. International schools are located across the Algarve, so if this is a criteria of your property search, we are knowledgeable in these matters and will be happy to assist you in making the right choice for your children. I'm considering selling my Algarve property - what should I do next? Speak to Yellow Homes! We are an experienced and well-established agency for more than 20 years with a highly-regarded reputation. We cover the entire Algarve and our multi-lingual team is committed to offering an expert, professional and helpful service. A good real estate agent is your best source of information when buying a home. Once you have an agent you trust for their professionalism and expertise, start asking as many questions as possible. They will gladly inform and educate you through each step of the home-buying process. If you have a property question that you'd like answered, please feel free to contact us. Buying or selling a property is an important event in your life - it's also good to enjoy the experience!